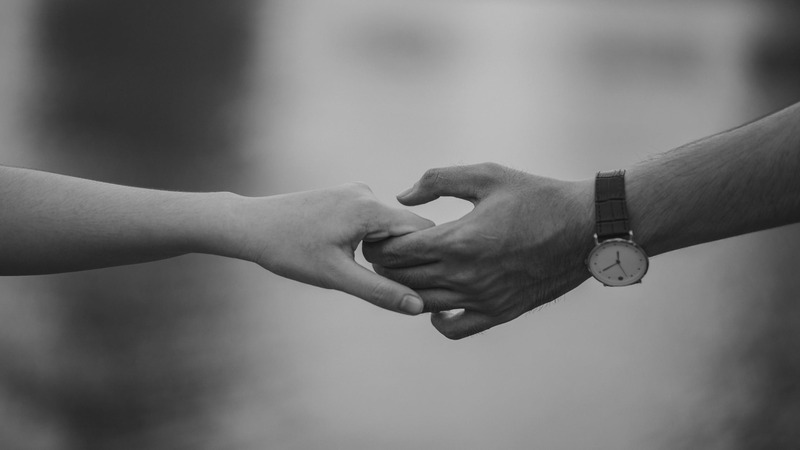 There is no question that holding hands with the person you have feelings for feels amazing, but making the first move can be pretty daunting. If you want to learn how to get the guy to make the first move so you don’t have to worry about it, there are a few key things you should know. You will need to get some important information before taking any steps. These tips will help you to avoid all of the awkwardness that is associated with initiating this type of physical contact. The very first thing that you will want to do is to just be straightforward with him about how you feel when it comes to being touched. This will put him more at ease so he’ll feel comfortable making the first move. Some guys are hesitant to hold a girl’s hand because they aren’t sure how they will respond, so it’s important that you give him this sort of reassurance. You should also make a point of sitting next to him and getting physically close just to reinforce this point. Flirting is a must when it comes to letting the guy know that it’s okay to make the first move for hand holding. There are a million little ways to flirt, so you should get creative. Lightly touching his shoulder or leg when you are talking is one great physical way to flirt, and it will make him feel better about making the leap to hand holding. This will reduce any tension or awkwardness between the two of you, breaking down the physical barrier. While you certainly don’t want to just grab his crotch, it is a good idea to engage in some playful touching as a pretext to hand holding. Guys typically view this sort of behavior as permission to hold their hand, so you will need to keep that in mind. You can even try tickling him, but not to the point where he wants to punch you to make it stop. You will want to make it as easy as possible for him to hold your hand, so make sure that you position yourself close to him. This way he won’t have to awkwardly move towards you to hold your hand. If you are staying far away, he will probably assume that you aren’t comfortable with hand holding yet. When you are walking side by side, you want your hand to be very close to his, but not actually touching. He will more than likely take the hint and put his hand around yours at some point. One of the ways that you can test out whether or not he is ready to hold hands with you is by placing your hand next to his and just wait. Don’t move your hand slowly to his, but rather keep it completely still. There is a very good chance that he will eventually make his move if you do this. At most you should brush your finger against his, but that’s it. This could be enough to make him feel comfortable with full on hand holding. A lot of people flinch without even thinking about it when someone brushes up against their hand, but you must do your best to resist this instinct. You want to put him at ease, and part of doing that involves keeping your hand completely still if his hand “accidentally” brushes up against yours. This could just be his way of seeing how comfortable you feel with the idea of holding hands, so you don’t want to put him off. Flinching when his hand brushes up against yours will only serve to scare him off. The high five is like the precursor to holding hands, and there is a way that you can use it to your advantage. When you give each other a high five, let your hands linger for a little bit. You will be able to tell how nervous he is by how fast he pulls his hand away. If he feels confident enough to hold your hand, his hand will linger on the high five as well. This might seem a bit silly, but it’s actually a good way to slide into holding hands. Another very sly and creative way to subtly move into holding hands is to compare your hands by pressing them up against each other. This is a nice and playful way to move towards holding hands in a very non-threatening manner for both people. By doing this you will make him feel a lot more comfortable about interlocking your fingers and going full on hand holding. You should choose the right moment to start getting close to him so everything is perfect. The situation in which you hold hands for the first time should be special. It’s a good idea to wait until you are walking along on a date and everything is going really well. The environment that you are both in will be very important when it comes to doing this, so choose the moment carefully. It’s also a good idea to encourage him to make his move when it’s dark and visibility is a bit lower so he won’t feel too nervous about doing it. Find something that you want to show him and grab his hand to lead him. This can be a nice casual way to hold his hand without anyone really having to make an official first move. A lot of people don’t even really think of this as holding hands, but it totally is. This is a nice casual and low-pressure way to hold hands for the first time without anyone getting too nervous or awkward.